It’s that time of the year and fortunately our favorite brands came out with beautiful gift sets to make your shopping and giving easier and memorable. We rounded up the best sets from the brands we all love (and if you don’t love them yet) trust us, you will! Gift sets are the best way to try many products from a brand you were curious about. These gift sets simply say: ¡Tú eres una belleza! This gift set comes with Fresh renown Soy Face Cleaner, Lotus Youth Preserve Face Cream, their Rose Face Mask and a Sugar Lip Treatment. It’s beauty in a box! $58. 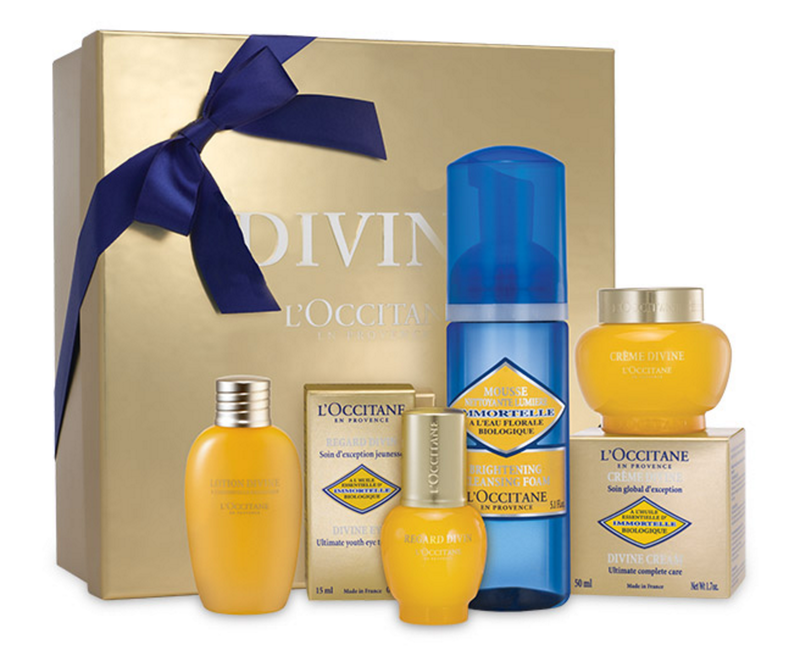 Defy gravity with this anti-aging gift set which contains L’Occitane’s famous Divine Cream, Divine Eyes, Divine Lotion, and Immortelle Precious Cleansing Foam. Laugh at your wrinkles! $186. 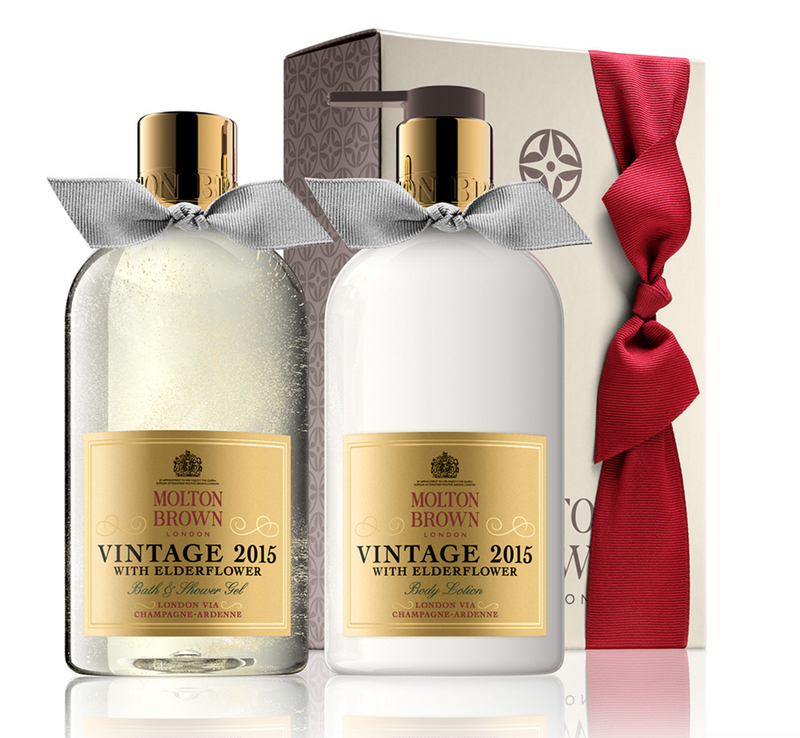 Caress your skin with the sweet aroma of elderflower with Molton Brown’s shower gel and lotion set. Your skin will love you for it! $77. For the lovers of the purple stone, this seductive Avon gift set is all she needs. The delicious aroma of violet and sandalwood will turn heads! The set comes with a perfume, body lotion and shower gel, $20. Tourmaline charged starter set by Aveda Regenerate and hydrate your skin with the Tourmaline Charged 4-step skin care and revive your face. The set includes an exfoliating cleanser, radiance fluid, hydrating creme and masque, $45. We didn’t forget your hands, and this sparkling set with verbena is just the thing you need to keep your fingers moist! Keep this refreshing soap and lotion duo in the bathroom or kitchen, $49. 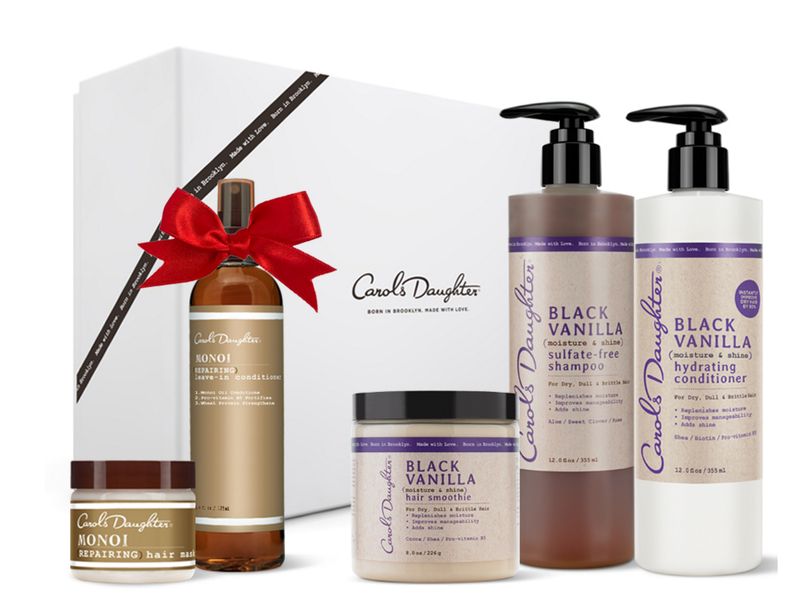 Bring moisture back into your hair with black vanilla and monoi oil with Carols Daughter hair set. These hair products are completely natural without sulfate or parabens, $32. This exquisite citrus and floral aroma of this perfume, body lotion and shower gel will transport you to magical places, $28. 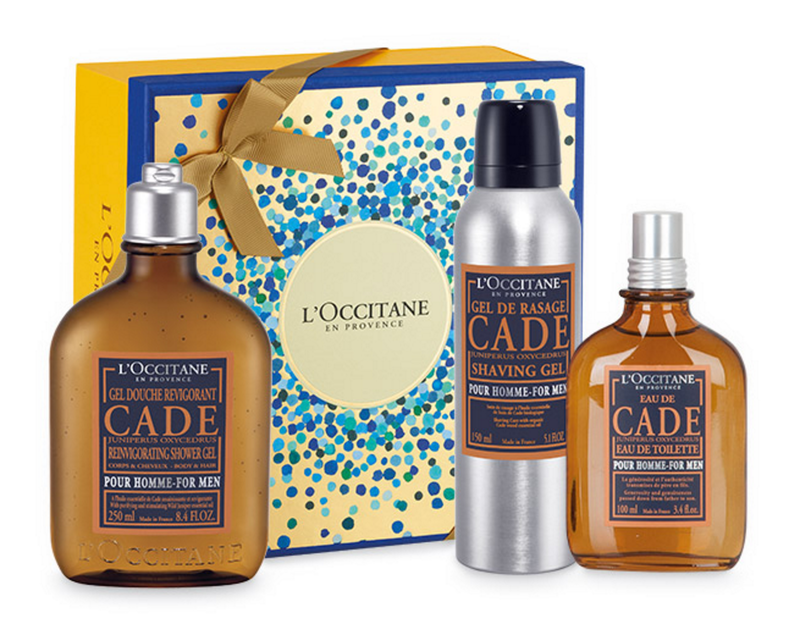 We couldn’t leave your man out of this gift-guide and the Cade collection from L’Occitane is our best choice. This set comes with a full size perfume, shower and shaving gels. He’s going to fall in love with Cade! $80. ¿Qué regalitos vas a meter en las medias navideñas?